August 1963: The Americana Hotel in Manhattan was abuzz. Now known as the Sheraton New York Times Square Hotel, the luxury establishment sits roughly a mile from Madison Square Garden and less than a half-mile from Radio City Music Hall. Its wildly popular jazz club, The Royal Box, was a regular hot spot for entertainment legends such as Duke Ellington, Peggy Lee, Ella Fitzgerald, and others. But on this summer day, the Americana was hosting a press conference, and the most recognizable face in the place belonged to its subject, Cassius Clay, the No. 2 heavyweight title contender, and boxing’s most outspoken, yet enigmatic personality. Every person in his or her early 20s dreams of taking over the world. Louisville, Kentucky’s Clay was actually doing it. At this conference there was some talk of boxing, but it was more so about Clay’s venture into other kinds of entertainment. Columbia Records announced its signing of Clay to a recording contract for an alleged price of $25,000. The boxer would record a spoken-word album, filled with his patented comedic gab and verbal jabs at the then-champion Sonny Liston. Clay, 21, worked the room like a seasoned vet. He knew eyes were on him. 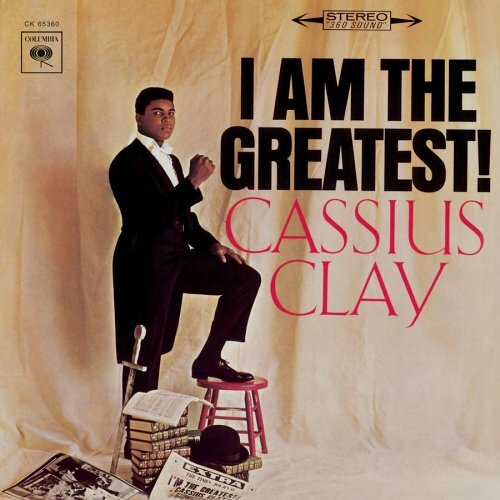 “Cassius impressed this observer as a bright, exuberant young man, who could probably make a good living at anything he attempted,” wrote Bob Rolontz for Billboard, “and who could possibly lick Liston, if he keeps talking to him all through their fight.” The album, aptly titled I Am The Greatest, was released the following month. Its first eight tracks are called “rounds”— symbolizing Clay’s prediction of how long the Liston fight would last. Every element about the project was premeditated. “Rounds” were titled I Am The Greatest, I Am the Double Greatest and The Knockout. Each round lasted between 2 1/2 and seven-plus minutes and featured Clay boasting of his greatness, and claiming he was the “resurrector of the fight game.” The rounds were enhanced with a live audience and so Clay’s material — much of it directed directly at Liston — felt more like a comedy club standup routine. There, Clay lowers the boom! Despite a natural gift of gab, Clay was not the project’s Swiss Army knife. Famed comedy writer Gary Belkin handled ghost-writing duties, though The New Yorker writer David Remnick says the boxer wrote a “great deal” of the project. Belkin was taken back by Clay’s reading problems — he was dyslexic and had barely graduated from high school. Later in life, Ali, with his wife, Lonnie, designed with Scholastic “Go The Distance,” a program aimed at educating and inspiring young black readers. That was 2006, though. In 1963, Clay badly wanted Liston, who besides being the champ, was that year’s most outstanding boxer as selected by the Academy of Sports Editors. Liston had been the target of Clay’s verbal taunts before, but Greatest upped the ante — this was actually “on wax,” and in ’63, taunting Liston wasn’t high on the list of smartest things a man could pursue. In a sport historically littered with less than savory characters, the Sand Slough, Arkansas, native embraced his bad-guy image. After Patterson’s comments about how America should accept Liston as world champion should he capture the title, Liston had no interest in returning the favor of being cordial. “I’ll kill him,” he said. “I’d like to run him over in a car.” July 1963, two months before Greatest — after beating Patterson in a rematch that lasted 130 seconds, Liston uttered his most recognizable soundbite: “A prize fight is like a cowboy movie,” he crowed. “There has to be a good guy and a bad guy. People pay their money to see me lose. Only in my cowboy movie, the bad guy always wins.” Liston was a mid-’90s Suge Knight before there was such a thing as Suge Knight. And this is the man young Clay sought to unseat. 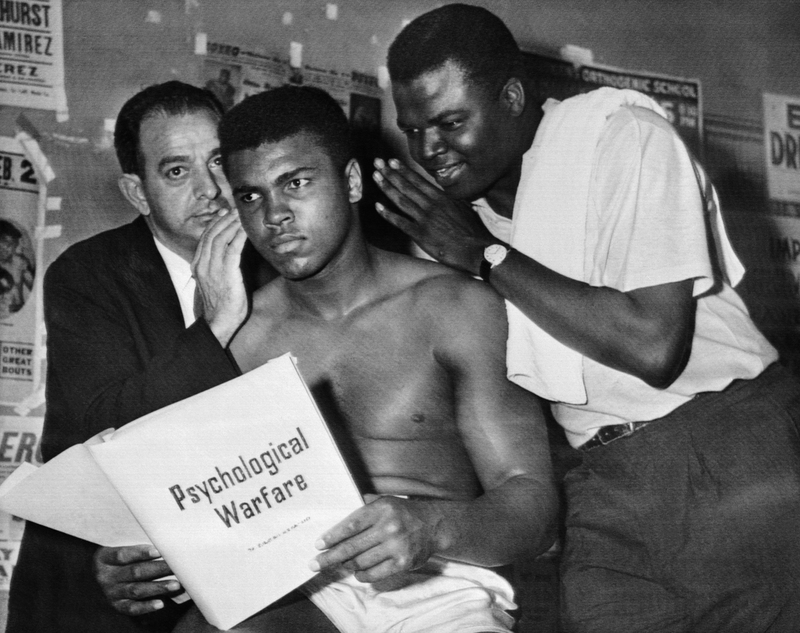 Cassius Clay and his trainers discuss psychological warfare in preparation for his heavyweight championship bout against Sonny Liston. The unseating began months earlier and the pregame peaked with a promotional tactic — the album — that stood out, even in a sport familiar with outrageous stunts. On Nov. 5, 1963, the ink dried on contracts for Liston and Clay to meet at the Miami Beach Convention Center for the heavyweight title. In the weeks leading up to the Feb. 25, 1964, fight, Clay’s life went further and further under the microscope. His draft eligibility status made headlines after he failed an armed forces mental aptitude test. A Feb. 7 Miami Herald report by Pat Putnam quoted Cassius Clay Sr. saying his son was a member of the “Black Muslims” and would soon be changing his name. How Clay, at 22, remained focused on the Liston task at hand is no small part of his worldwide legend. In one of the greatest upsets in sports history — Sports Illustrated called it the fourth best moment of the 20th century — Liston refused to come out of his corner for the seventh round, making Clay the new heavyweight champion. Clay’s immediate reaction became public lexicon, and the soundtrack for the rest of his life. Even as uber-confident as Clay was about his talents, he would never mimic the day job of his good friend, Cooke. He wasn’t a musical artist. He was a world-class fighter, destined to wear the heavyweight crown. Clay had no clue what lay ahead of him following the release of Greatest and his defeat of Liston: a falling-out with Malcolm X, a man he saw as a brother, the assassination of that same brother, and losing prime years of his career in a legal battle against the federal government in protest of the Vietnam War. And this was all before he turned 30. 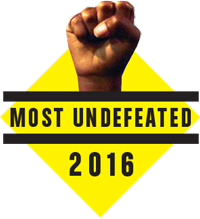 Best believe, though, I Am The Greatest reflected his true feelings. Beyond the jokes was a man possessed by leaving the world a different place from when he entered it. Ali said he knew he was the greatest long before the world actually knew he was. The album is proof. As the world prepares to pay its final respects to the man born Cassius Clay, but transformed into a worldwide icon as Muhammad Ali, he should rest in peace knowing the will he left on I Am The Greatest holds true 53 years earlier.